Stock’s rally as North Korea tensions ebbed. S&P 500 +1% (best one-day rally in four months), back to within 0.6% of all-time closing high. Well received earnings, strong data out of Japan helped buoy sentiment. Strong cyclical leadership from banks, semiconductors, transports, small caps. Treasury yields higher, up 3 basis points (+0.03%) to 2.22%, U.S. dollar rose, COMEX gold fell, consistent with risk-on environment. New York Federal Reserve (Fed) head Dudley stated he supports another rate hike by year end. WTI crude oil lower on reports of weaker Chinese demand, strong dollar. Oil -2.5% to $47.59/bbl., dragging energy sector down 0.25%. U.S. stocks up slightly, S&P 500 up ~0.2% at the open on easing tensions in North Korea, as representatives back off missile threat toward Guam. Positive tone to almost all Asian markets on reduced tensions with North Korea; Hong Kong the exception (-0.3%). South Korean market closed for a national holiday; Nikkei rebounded >1%. China’s efforts to curb credit growth evident in overnight money supply and loan demand data. European markets modestly higher in afternoon trading; German gross domestic product (GDP) disappointed, +0.6% quarterly growth vs. +0.7% expected. U.K. inflation data slightly lower than expected. U.K. inflation predicted to increase due to weak pound after Brexit vote; meaningful inflation yet to materialize. Trade in focus. China trade pressures ramping up as President Trump’s aids investigate China’s intellectual property acquisition practices. NAFTA renegotiations start this week. Souring of trade relations remains a market risk, particularly for emerging markets. 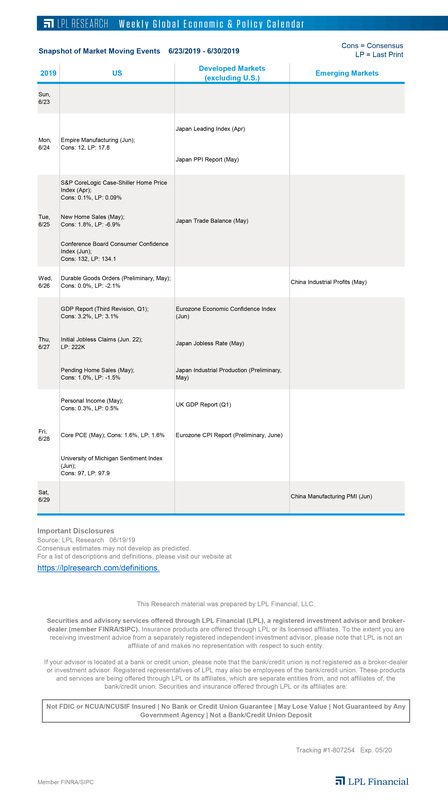 Strong retail sales (+0.6% vs. consensus 0.3%) headline today’s economic calendar, which also includes import/export prices, New York Empire State Manufacturing (25.2 vs. consensus 10), business inventories, and national association of homebuilders (NAHB) sentiment. Minutes from July Federal Open Market Committee meeting due out Wednesday afternoon. S&P 500 less than 1% from record highs. Monday’s stock market rally is yet another example of the resilience of this market. The economic and earnings backdrop remains supportive, and markets have a long history of powering through geopolitical crises, so North Korea is probably no different. Still, geopolitical tensions are likely to remain elevated and with seasonal weakness in play, the long-awaited pullback may not be too far away. The latest tensions with North Korea reflect the most recent phase of a relationship that has been going on for decades. Regardless of how this chapter ends, it is probably not the last we will see of this issue. War on the Korean peninsula is in no one’s interest, not the U.S., China or either North or South Korea. We continue to believe that there will be a peaceful resolution and the recent market volatility around this issue will prove to be just noise. We discuss further today on the LPL Research blog. 10-year Treasury yield remains range bound. A weaker than expected Consumer Price Index (CPI) print and North Korean tensions combined to push Treasury yields lower across the curve last week, with the 10-year Treasury yield closing at 2.19% on Friday. A slowdown in rhetoric on both sides has led to yields rising moderately, with the 10-year at 2.25% this morning, in line with moves of a few basis points higher for most foreign bonds. While risks remain, and rates could be pushed lower if geopolitical or other events start to introduce more volatility in equity markets, we continue to believe that steady economic growth has the potential to push rates slowly higher over the remainder of the year. Curve steepness flat on week. Rates fell last week, but given that short- and long-term rates both fell, the yield curve (as measured by the difference between the 10-year and 2-year Treasury yields) was basically flat for the week, though steepness has picked up marginally this morning, as intermediate- to long-term yields have moved higher faster than short-term yields. Inflation expectations remain muted. Inflation expectations, as measured by the difference between the 10-year Treasury yield and 10-year TIPS yield, fell slightly but ended the week within its recent range at 1.79%. Expectations have improved since they hit a year-to-date low of 1.65% in late June, though they’ve had a hard time breaking back above the 1.80% level. Breakeven inflation averaged slightly over 2% in the first three months of the year, but fading hopes pro-growth policies, volatility in oil, and continued weakness in actual inflation numbers has pushed expectations lower since. In this week’s Bond Market Perspectives, due out later today, we discuss TIPS, inflation, and opportunities that may exist. Net long in Treasury futures notches higher and remains very elevated relative to history, though slightly off all-time highs. Though this is a bullish bet by traders that rates will decline, we believe this could help exacerbate a move higher in rates, as long positions may be forced to sell if a pickup in rates does occur. This metric was a good contrarian indicator in early 2017, when a record short position was amassed and later helped to drive rates lower. Spreads widen in high yield and investment grade corporates. The spread of the yield between high-yield bonds and comparable Treasuries widened last week, moving from 3.52% to 3.87%, leading to a -0.75% return for the Bloomberg Barclays U.S. High Yield Index. The lower-quality nature of high yield makes it susceptible to equity market weakness, a theme in play last week. Rich valuations also contributed as the asset class was vulnerable to profit taking, despite solid fundamentals (low default rates, loosening lending standards). Investment grade corporate bonds also saw spread widening, though the asset class was aided by its elevated interest rate sensitivity. These two factors largely cancelled each other out on the week, with the Bloomberg Barclays Investment Grade Corporate Index returning -0.04%. Consumer spending off to a good start in Q3. Retail sales overall rose a solid 0.6% in July, vs. the 0.3% increase reflected by economists’ consensus and the prior month’s 0.3% advance. Excluding autos and gasoline, sales rose 0.5%, up from June’s 0.3% advance. Auto dealerships and non-store retailers (online) showed the strongest gains, while only gas stations, electronic merchants, and clothing chains showed sales declines. Building-supply outlets also showed solid sales gains, a positive data point for housing. Consumer spending is off to a good start in the third quarter and should help keep GDP growth on its current trajectory above 2%.